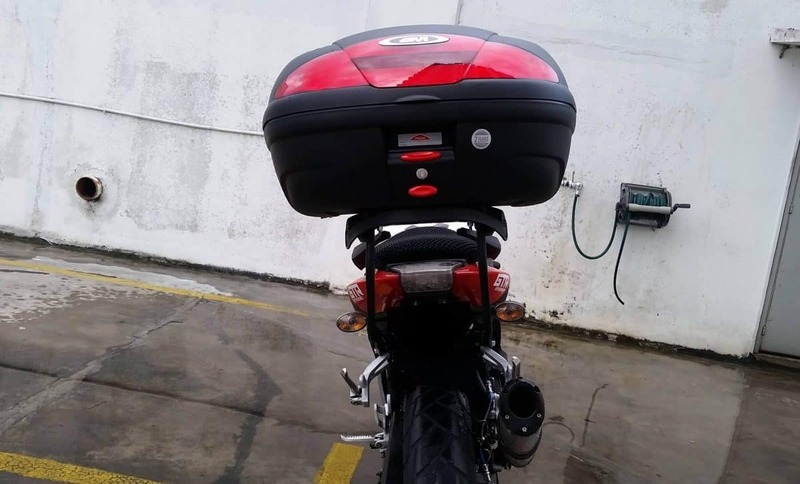 Some of you asked me for some pictures of the Hyosung GiVi Top Case Box that I have installed. Here you go. 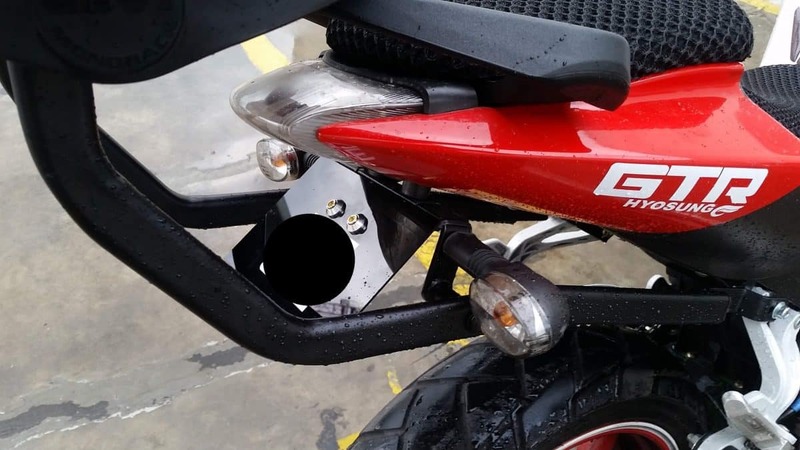 I’ve customized the bracket to fit in the rear signals and the number plate holder. 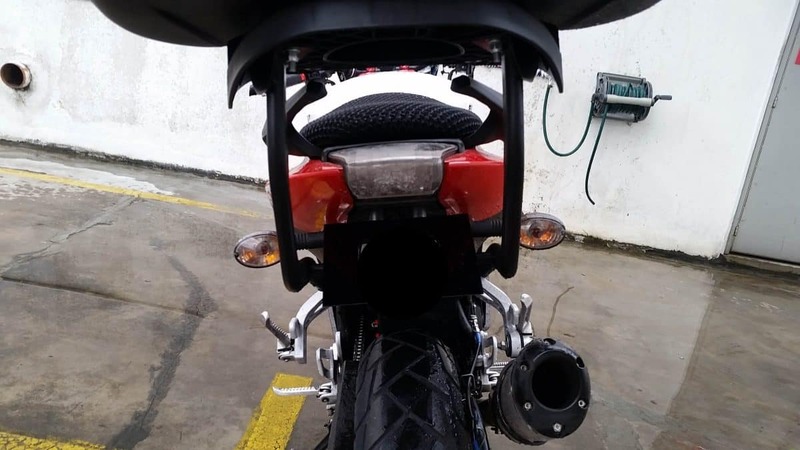 It took few hours to come out with few ideas because I don’t want them to modify nor remove the pillion rider grip holder. Back view of the bracket. Here it is! It is no longer look nice? 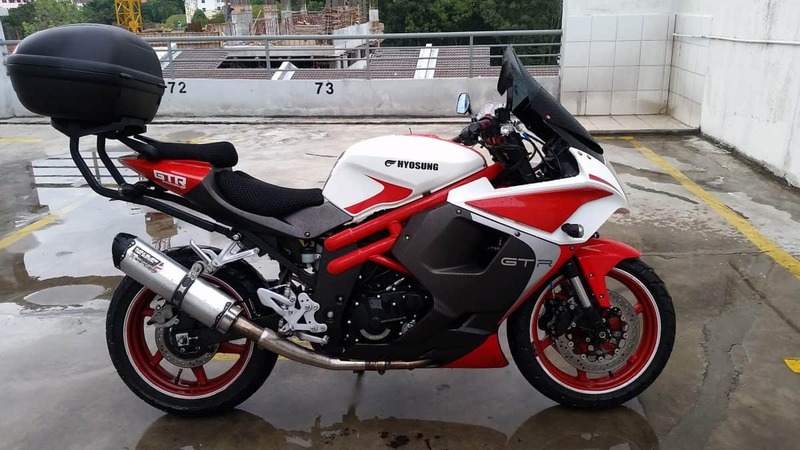 (someone said to me) but, it is very comfortable for me especially going for a long ride. I can now fit in my stuff without the need of carrying a bag. I can also put my Laptop bag in it! Oh Yes! 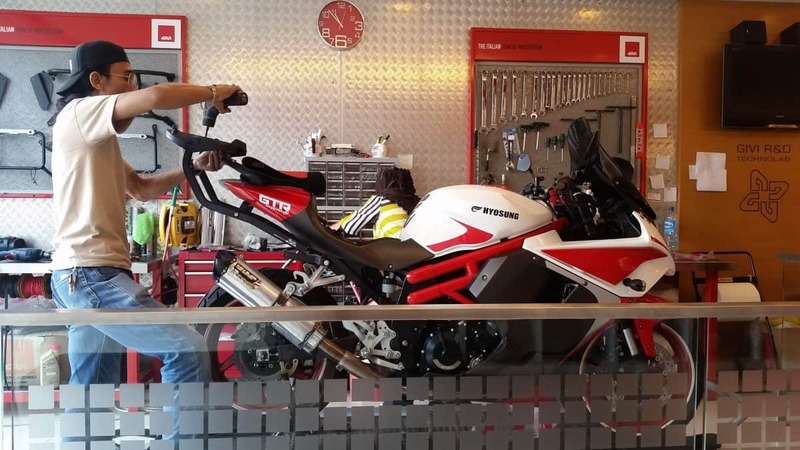 This installation was done at GiVi, Kuala Lumpur, Malaysia at about USD150 as of current currency rate (Jan 2016). You can order it online via GiVi website or just contact any of your local distributor and they might be able to help.